Last Monday (March 1st), people in India and other countries with large Hindu populations celebrated Holi, the Festival of Colors. A welcoming of Spring, Holi is celebrated as the triumph of good over evil. 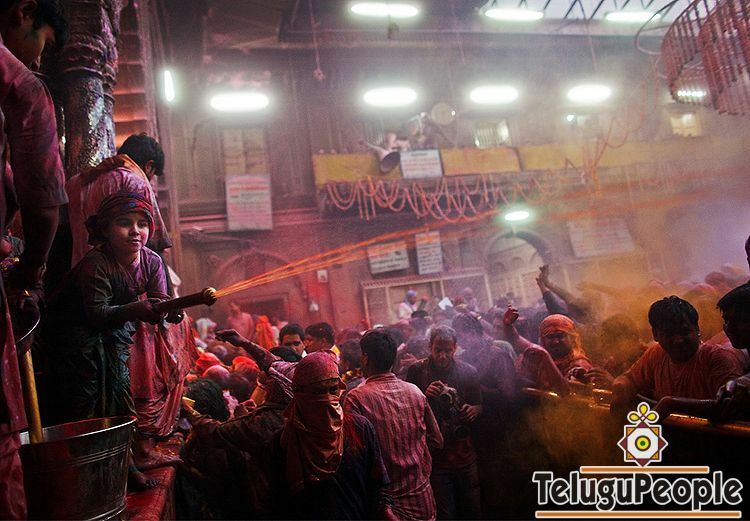 Hindu devotees and others enthusiastically drop their inhibitions, and chase each other in temples and through the streets, playfully splashing colorful paint, powder and water on each other. People also attend bonfires to commemorate the story of Prahlada, a Hindu figure and devout follower of Lord Vishnu who prevailed over his father and the demoness Holika with the power of his devotion. Collected here are a handful of images from this year's Festival of Colors.